Now have a look at the discounted plan which is a limited period offer valid till 15 July 2013. Do not worry even if you miss the bus, you can always negotiate. 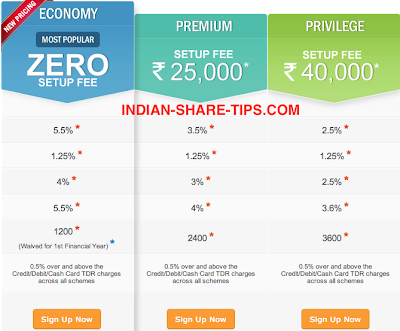 To us CCavenue Zero set up fees program do not look a correct program as one gets charged a lot as their TDR rate is very high. However starters may consider going for it but for serious entrepreneurs; it is a strict No-No.